Ukraine prosecutors would like to present evidence to Attorney General William Barr regarding Biden's interference and threats in a corruption involving probe involving his son. 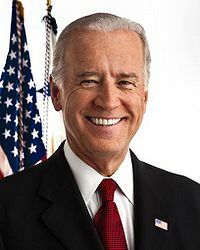 Biden bragged to have caused the firing of a Ukraine prosecutor who was leading a wide-ranging corruption probe into a natural gas firm that employed Biden’s younger son, Hunter Biden, as a board member. In December 2015 The New York Times reported on Joe Biden, His Son and the Case Against a Ukrainian Oligarch. The story focused on Hunter Biden, Burisma Holdings, and its owner, Mykola Zlochevsky, who was Ukraine's ecology minister under former President Victor Yanukovych. Yuriy Lutsenko, who replaced Shokin as the prosecutor looking into Burisma, said the evidence in the Burisma case he’d like to present to William Barr, particularly the vice president’s intervention. Between April 2014 and October 2015, more than $3 million was paid out by Burisma to an account linked to Biden’s and Devon Archer’s Rosemont Seneca firm, according to the financial records placed in a federal court file in Manhattan in another case against Archer. The bank records show that, on most months when Burisma money flowed, two wire transfers of $83,333.33 each were sent to the Rosemont Seneca–connected account on the same day. The same Rosemont Seneca–linked account typically then paid Hunter Biden one or more payments ranging from $5,000 to $25,000 each. Ukrainian prosecutors reviewed internal company documents and wanted to interview Hunter Biden and Archer about why they had received such payments, but couldn't because of Joe Biden's intervention. This page was last modified on 23 April 2019, at 15:28. This page has been accessed 622,800 times.